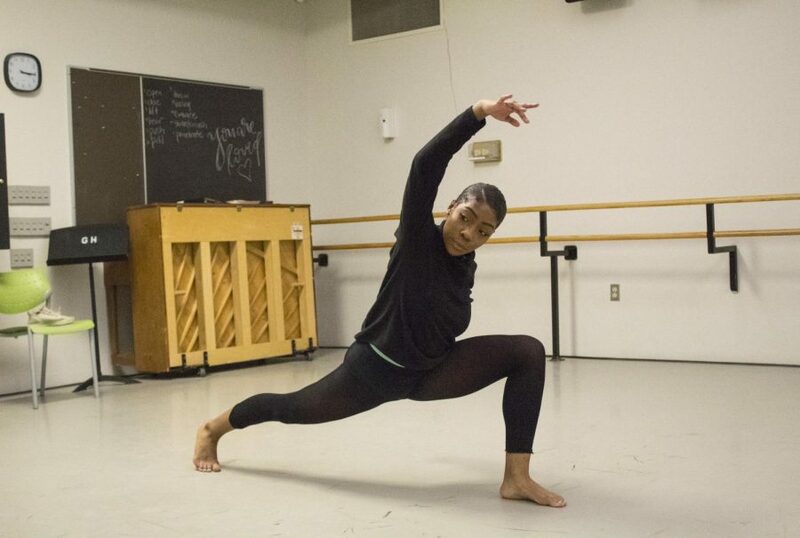 Dance major Lavette Patterson has practiced ballet since she was 3 years old. The role was an educational experience for Patterson, as she didn’t know how to connect to the role. She researched Garner and learned about what she went through and how to portray the role to the best of her ability. Patterson found herself unable to relate to the slave. She compared moments like caring for Garner’s daughter, Mary, to moments like caring for her nephew. However, being a Black woman in a predominantly White community was something she was able to connect with. Patterson grew up in Cincinnati and started dancing at age 3. 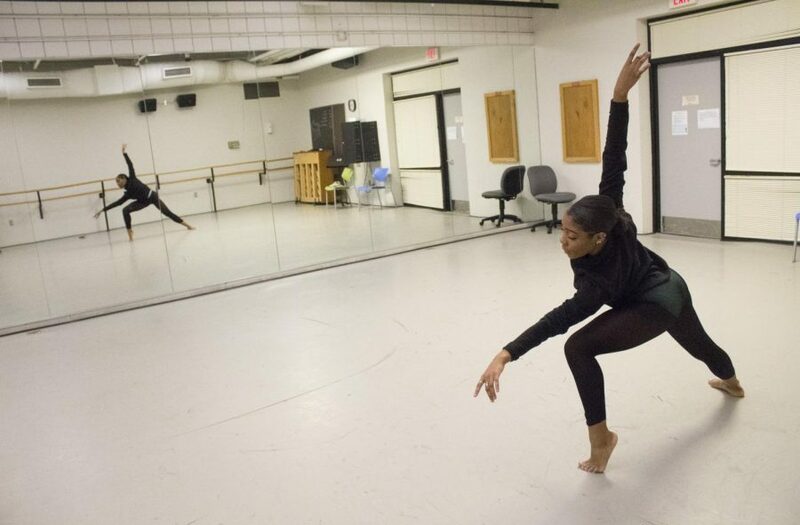 The now 19-year old dance student has learned “to deal with” a lack of diversity in her studios. “When I was younger, I always wondered, ‘why am I the only Black little girl in this room?’ And I would wonder those questions since I didn’t understand,” Patterson said. As Patterson continued with dance, she started ballet. There, she said she realized she had to adjust her look to be presentable to others. Per ballet tradition, performers wear pink tights and pink ballet shoes. Patterson finds herself dyeing her shoes with makeup after she purchases them, but dyeing her shoes and tights comes with a risk: during performances, the makeup can come off on the stage and ruin costumes. Patterson said the color of the tights was to help the dancers look paler and uniform and as kid, it didn’t matter to her. Now, she says she can look at her recital pictures and see, “the pink tights and all the White girls look the same and one Black girl that just doesn’t fit. Her legs doesn’t [sic] match,” Patterson said. “This can make us African-American dancers feel out of place or as if we’re doing something that isn’t meant for us,” Patterson said. At NKU, the diversity in the dance program has been growing “throughout the decades,” dance professor Renee McCafferty said. However, Patterson said there are still only three Black female dancers including her. So, when she found out about “Mourning the Creation of Racial Categories” and that they were using student dancers to talk about race, she jumped at the chance. “I was really impressed with her ability as a younger dancer in ‘Let Our Loss Be Heard’ to empathize [with the role],” McCafferty said. She said Patterson’s maturity and ability to carry on the narrative for a 26-minute dance was impressive. For Patterson, that was the part in the dance that was difficult. “I had to play so many different emotions at the same time,” Patterson said. She said that when you dance, you typically have one style and emotion to portray at a time and this was drastically different. She had to portray happiness that she was killing her daughter. Yet, at the same time, fear of her slave owner. “It was all this [emotion] and that was kind of a lot of pressure,” Patterson said. Throughout the years of dancing, she’s never let her struggles and challenges get her down. “Instead, I used it to push me even more to continue to follow my dreams by doing what I love and overcoming stereotypes of Black dancers,” Patterson said.